With being an extremely green friendly family, we are always looking for more ways to improve. My family very rarely uses paper/plastic anything because I won't let them and to be honest they have grown to hate it themselves. I recently discovered a company that I just thought would be great for my family. In 2009, Vapur was founded and created something called the Anti-Bottle. "The Anti-Bottle is a reusable water bottle designed to stand when full and can be rolled, folded or flattened when empty, making it easy to use and carry on any adventure." 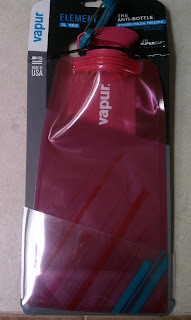 I was actually pretty pumped to receive a couple of the water bottles to review from Vapur. Not only for the green friendly aspect but I loved picking from all the styles they have available. 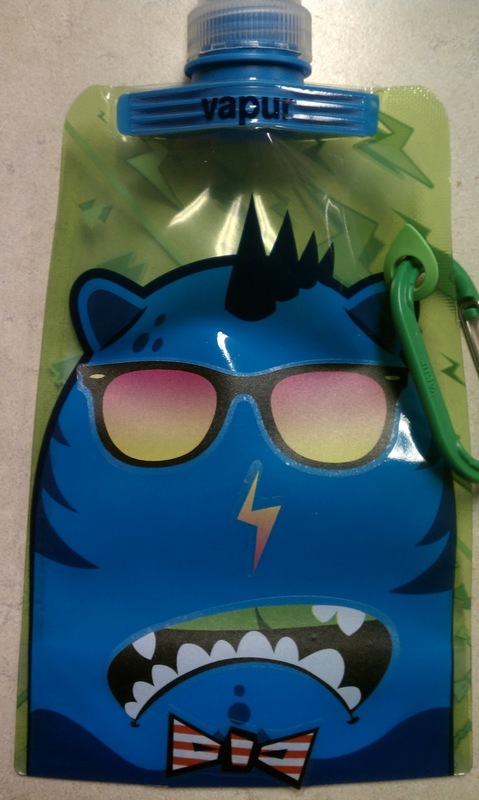 These actually reminded me of a similar concept to that of a Capri Sun. I love that I can easily toss them in my purse, diaper bag (if I still had one), or backpack. I loved my Element in Pink and have been sporting it around since it arrived! 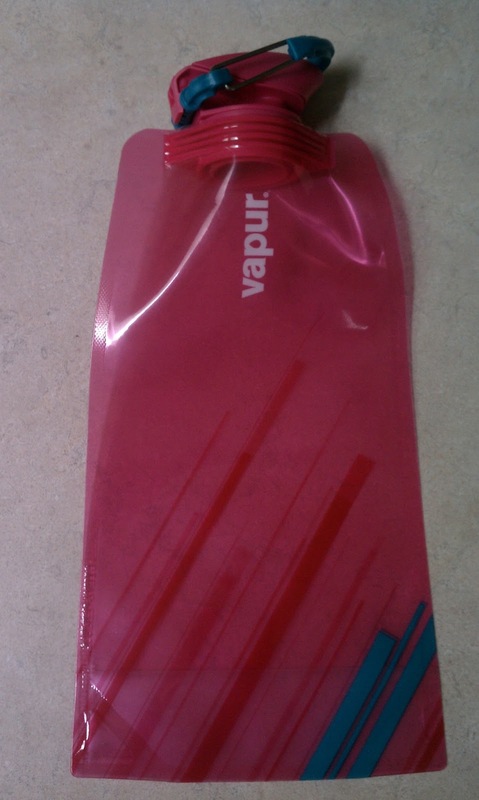 On top of all the perks I just mentioned Vapur is also manufactured in the United States. 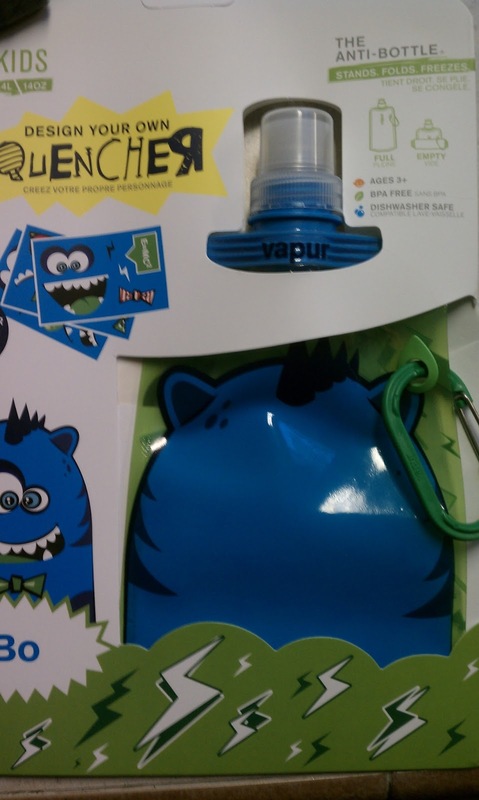 AND "Vapur Anti-Bottles are durable, freezable, dishwasher safe and BPA-free." Recommendation: Definitely worth the purchase, especially when you look at the competitors which offer similar products with less flexibility. These can be washed and reused just as easily as anything out there. Giveaway: Vapur is going to give one of A Lucky Ladybug's lucky readers a bottle of their own! I would pick a 1L Quencher in the Wind pattern. I want the wind-colored element water bottle! I like the blue " Water " titled bottle. I like the island series or the quencher blue monster.